Have you decided what to wear in wedding photos while getting ready? 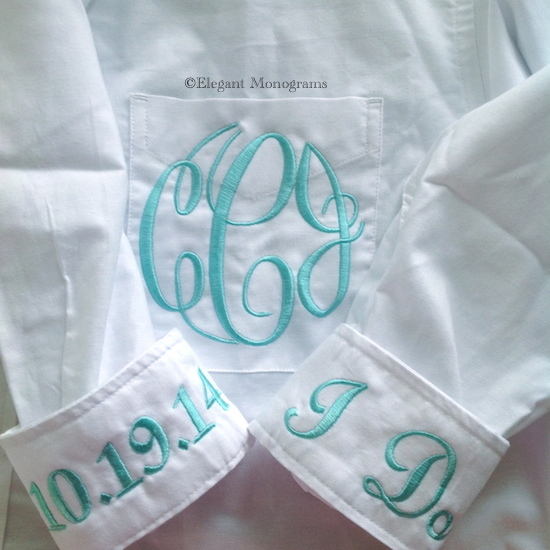 One of our favorite picks is this monogrammed bridal shirt from Elegant Monograms. Since it is a button-down style, it won’t mess up your hair or makeup when you’re ready to put on your wedding gown! Find out more here.